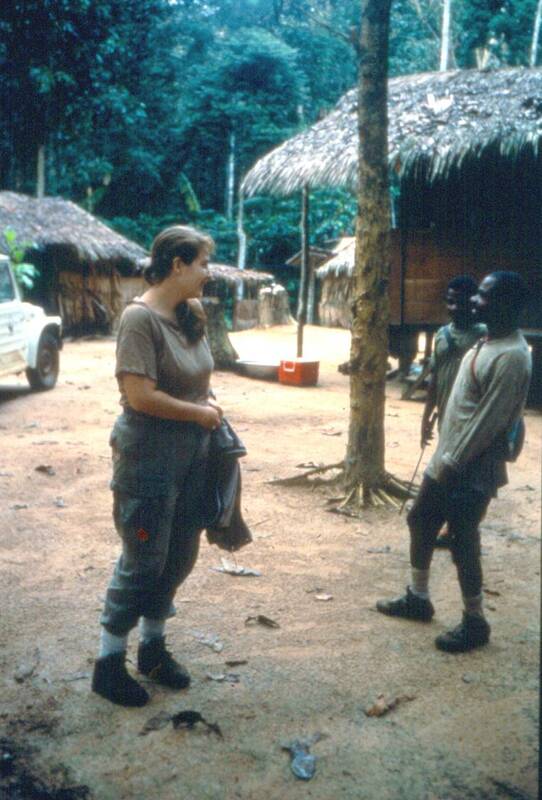 I am a biological anthropologist who studies gorilla behavioral ecology and primate conservation in sub-Saharan Africa. 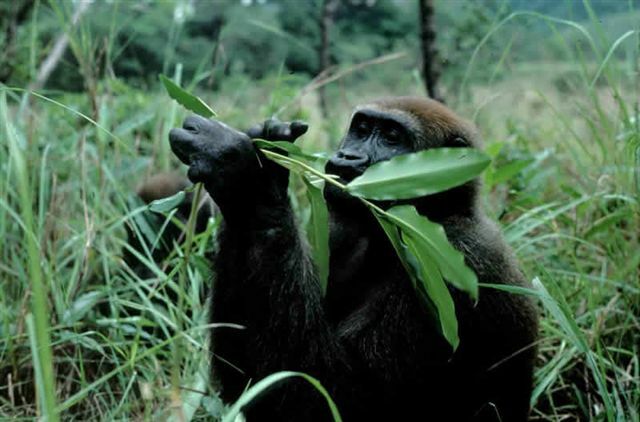 Much of my research has focused on the feeding ecology, locomotion and nutrition of wild gorillas at the Dzanga-Sangha Forest Reserve, Central African Republic. I also maintain an experimentally based research program on the evolution of feeding strategies among the African apes which relies on research on captive apes in zoological facilities. I am also working on a collaborative project on the impacts of multiple human disturbances on 5 groups of mammals (primates, carnivores, ungulates, rodents and shrews) in the Congo Basin. 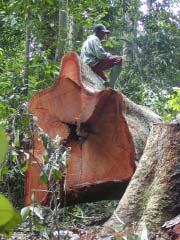 This research addresses both wildlife and human dimensions of ecosystem change. It contributes to our understanding of vulnerable ape populations, the ungulates and others which constitute the protein base for the region, changing subsistence patterns, hunting and logging practices and forest fragmentation. My long-term collaboration with cultural anthropologist, Dr. Rebecca Hardin of University of Michigan at Ann Arbor works to integrate both cultural and biological anthropological approaches to environmental anthropology, animal-human interaction and conflict. 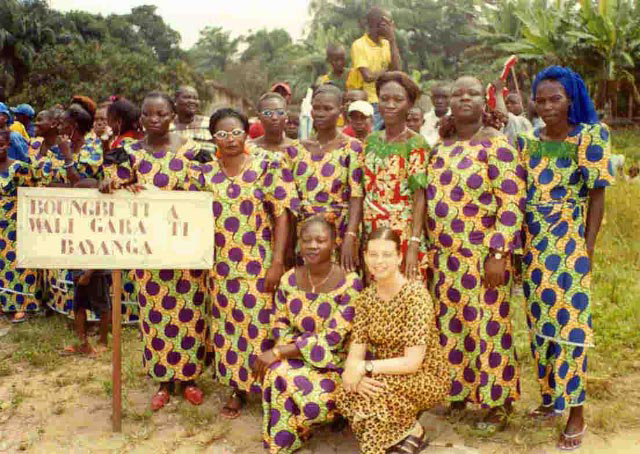 We collaborate with members of the University of Bangui, Ecosynergy group for integrative social and ecological science research on problems in the environment. We have trained US and Central African University students and local research assistants in ecological and anthropological field methods and analysis. We are analyzing 20 years of wildlife census and ethnographic data to understand the impact of conservation efforts on the human and wildlife populations in Dzanga-Sangha Forest and to contribute to improvements in international approaches to conservation management. 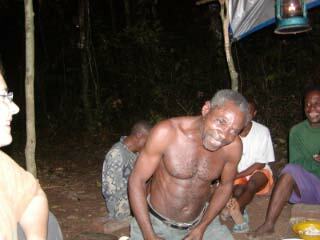 I am working with Purdue graduate student Lesley Daspit to develop more detailed ethnographic research on bushmeat sellers and consumers to try to better understand consumption of wild game in Central Africa and possibilities for change. I have also been involved with efforts to improve our understanding of the molecular genetics and conservation of Central African primate populations and recently with graduate student Sabrina Adleman begun study on the impacts of ecotourism on mountain gorillas in East Africa. Jennifer Cooper, MS 2001. 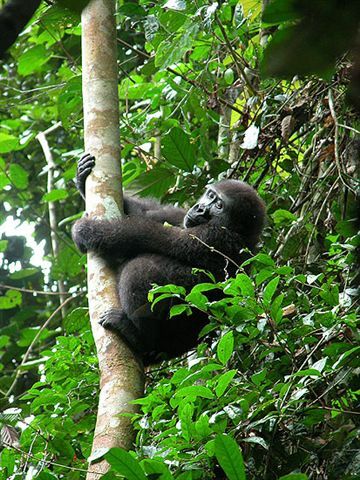 Female social relationships among captive western lowland gorillas. Jenny is currently a PhD Student in Dr. Waser's lab in the Department of Biology at Purdue. 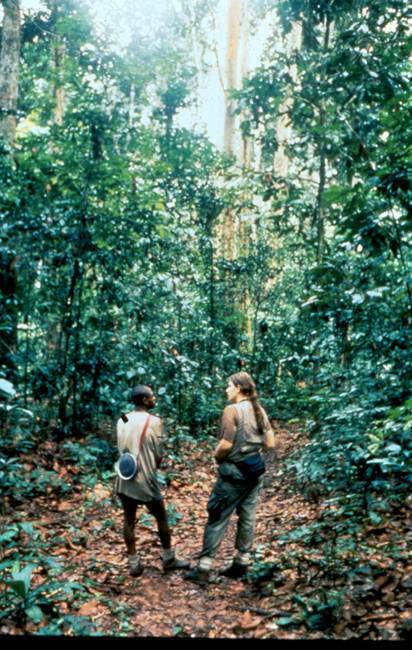 Sabrina Adleman, received her MS in 2006 on the impacts of human activities and ecotourism on the ranging patterns of habituated and wild gorilla groups at Bwindi Forest, Uganda. 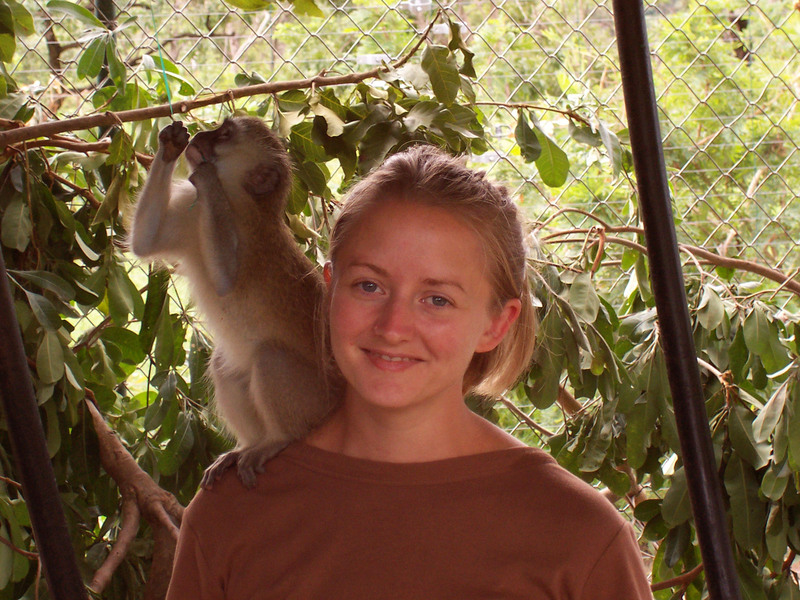 Sabrina had also spent one year studying black handed spider monkeys in Costa Rica. Sabrina is currently pursuing doctoral studies in primatology and anthropology at City University of New York.